At shows such as the SIHH or Baselworld I normally get a healthy overdose of timepieces. Being a very visual person my brain combines watches immediately with real and imaginary wardrobes like some sort of augmented reality – and that is exhausting. When the curtain comes down, it takes some time to digest what I’ve seen. I already showed a few obvious ladies’ awesomeness such as the Bonbon collection from Richard Mille, the vivid Piaget’s Possession jewellery watches, Jaeger-LeCoultre’s Rendez-Vous Moon and the debuting Galop d’Hermès. However, I get flashbacks with pieces that left a strong impression on me so I decided to dedicate this chapter to them. 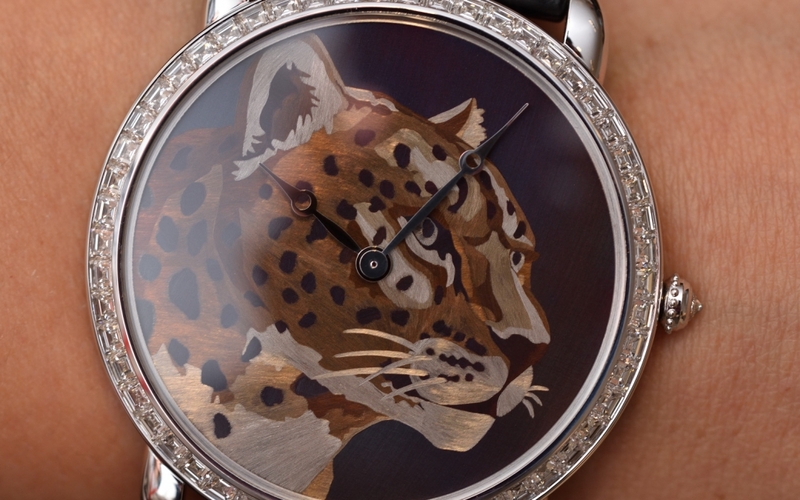 Cartier presented newcomers in the Panthère de Cartier collection and special editions like the Libre Tank Chinoise Red watch. They also revamped the Bagnoire line which now includes the Baignoire Allongée. I love this watch for the style it represents. Let’s fly back in time – the original Baignoire watch is from 1912 and we can salute Louis Cartier and his tireless creativity for it. He stretched out the round watch case into an elliptic or – as its French name suggests – the shape of a bathtub. The design evolved and in the 1950s and 1960s the slightly curved oval became really popular. The dial stamped with Roman or Arabic numerals was bordered with gold gadroons. A great photo of Romy Schneider (shot on the set of the Triple Cross in 1967) shows her wearing the Baignoire watch, a beige hat and a multi-strand pearl necklace. Catherine Deneuve who also famously wore the Cartier Tank had her outfit at the 1965 Cannes Film Festival complemented with a Baignoire timepiece. As the Maison describes ‘the Baignoire watch is worn by women in the know’. The sixties saw another version the Baignoire Allongée which was created in the workshops of Cartier London. In 2019 Cartier released new editions: two Baignoire watches in a small size (a yellow gold version and a white gold one with diamonds) and six Baignoire Allongée pieces in medium and extra-large sizes. The Baignoire Allongée in pink gold, grey alligator leather strap and with an edgy bezel captured me. The sculpted gold worked into studs that adopt the shape of the ‘clous de Paris’ (tiny pyramidal pattern). This model and all the new Baignoire Allongée watches have the manual 1917 MC movement inside. Davide Cerrato (Managing Director of the Watch Division at Montblanc) has been known for his very distinctive visual and design language and remarkable brand positioning experience in the fine watchmaking industry. He was responsible for the re-launch of Tudor and in 2015 he took over the leadership of the Montblanc watch division. Since then he directed the focus on the brand identity of Montblanc and started to carve out the profile of the collections. At this SIHH, Montblanc introduced novelties in the TimeWalker, Star Legacy, Heritage and the 1858 lines. Mr Cerrato being a vivid vintage watch enthusiast himself dedicated the 1858 line to models inspired by the legendary professional Minerva watches from the 1920s and 1930s and let the Heritage collection kissed by the Minerva classics from the 1940s and 1950s. 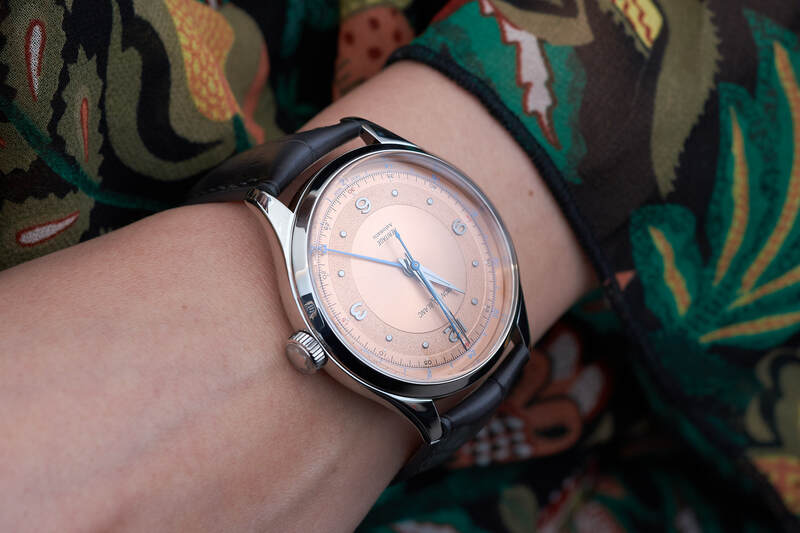 The vintage design codes have been applied on the novelties: the domed dial, various finishing techniques and colours such as the salmon, silvery-white or smoked-caramel. The latest pieces feature the old Montblanc logo from the 30s, underlining their vintage links. My favourite one is the Montblanc Heritage GMT with a salmon-coloured dial, which comes in a 40 mm, fully-polished stainless steel case in the height of 11.8mm. 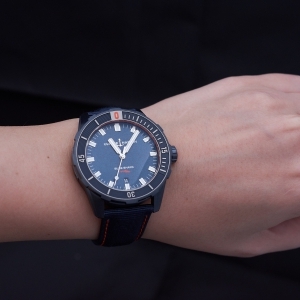 I find the alternating finishing on the dial and the combination of salmon colour with the blue accents very appealing. 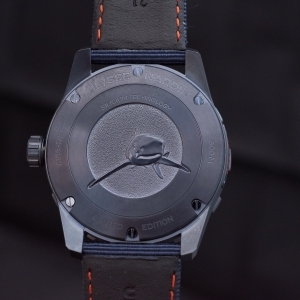 It has a grey Sfumato alligator-skin strap from the Montblanc Pelletteria (from Richemont Pelletteria in Florence, Italy) which compliments the dial’s tone perfectly. The movement is the automatic MB 24.05 with the GMT function shown by the single central blue hand on a 24 hour scale. As per Montblanc, the collection embodies the ‘Spirit of Sophisticated Elegance for true gentlemen’ and also for gentlewomen, in my opinion. I’m not a big diver but I keep my underwater discoveries in Australia or in the Middle East among my most treasured ones. Seeing baby black tip reef sharks in the waters of Oman at Ad Dimaniyat Islands was an amazing experience. 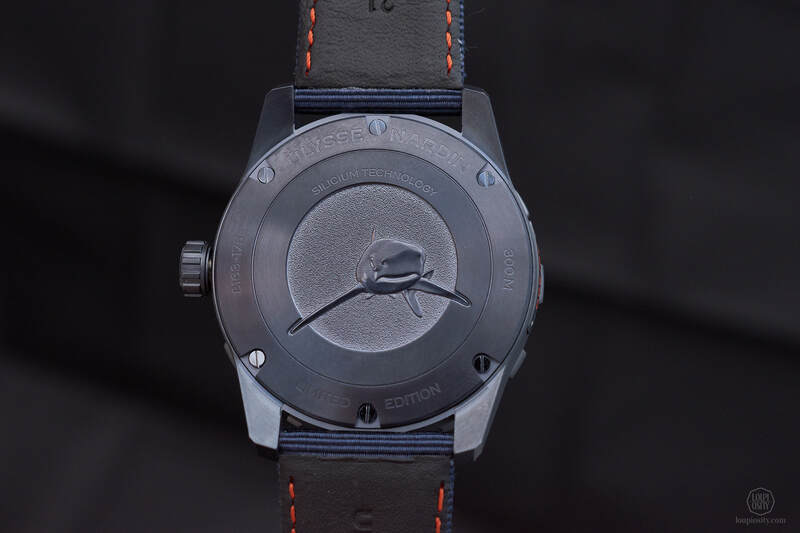 Ulysse Nardin announced its partnership with Belgian free diver and photographer Fred Buyle in 2018. His works are often used for media productions and marine life conservation campaigns. Ulysse Nardin presented its latest Diver Watch collection last autumn. 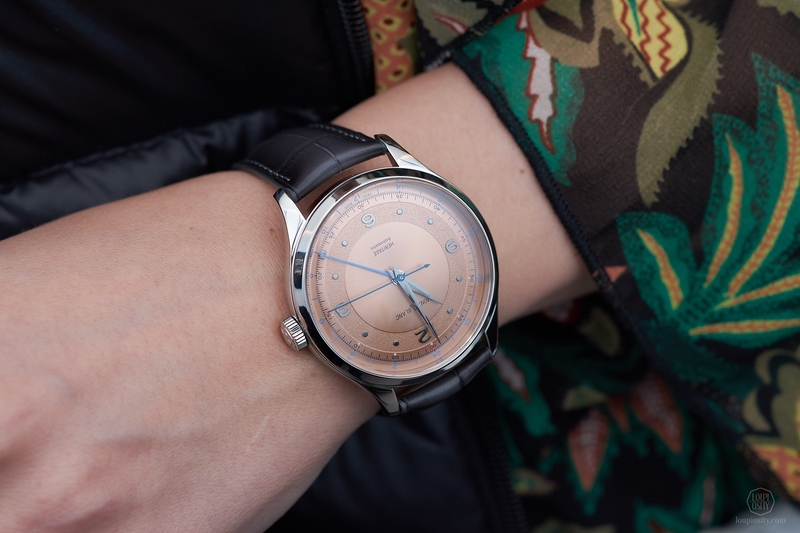 At SIHH 2019 we had the chance to shoot a few of them and the smaller versions (42mm) were a kind of instant hit for me. As an entry level piece the price is lower than the Diver Chronometer’s which boasts an in-house movement. The aesthetics and the cool, sporty everyday look are similar. The 42mm Divers have a modified Sellita-based calibre inside (the UN-816) with hours, minutes, central seconds and date functions. 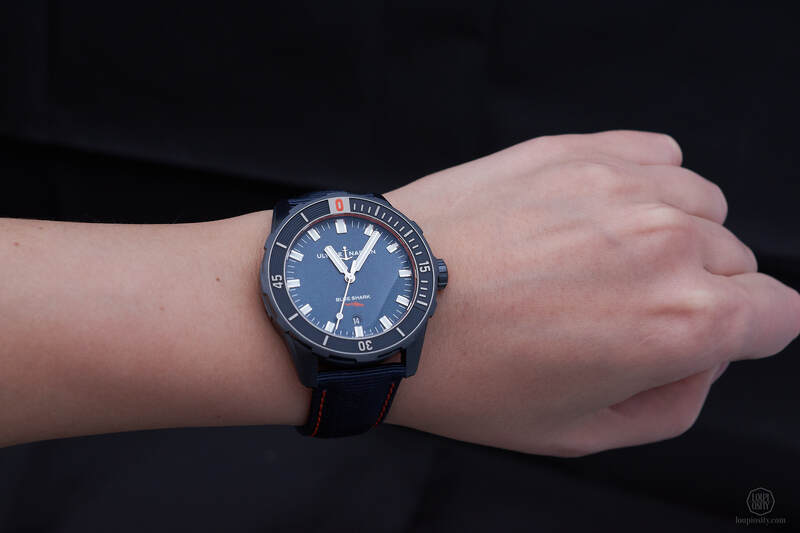 On these versions the straps are not integrated, you can choose fabric or calf leather straps in black or dark blue; or a steel Milanese mesh bracelet. 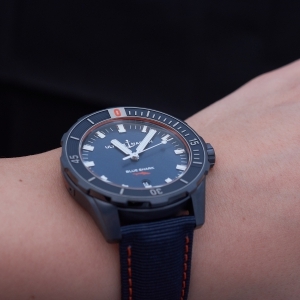 The Blue Shark limited edition (300 pieces) in matte blue PVD-coated steel with orange accents is my fave. 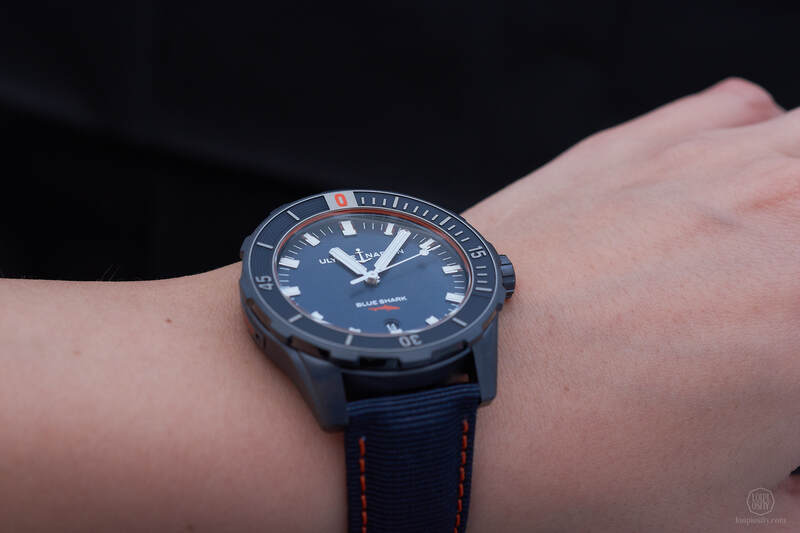 Orange shark on the dial, orange line around the concave unidirectional rotating bezel and a blue shark engraved on the case back. 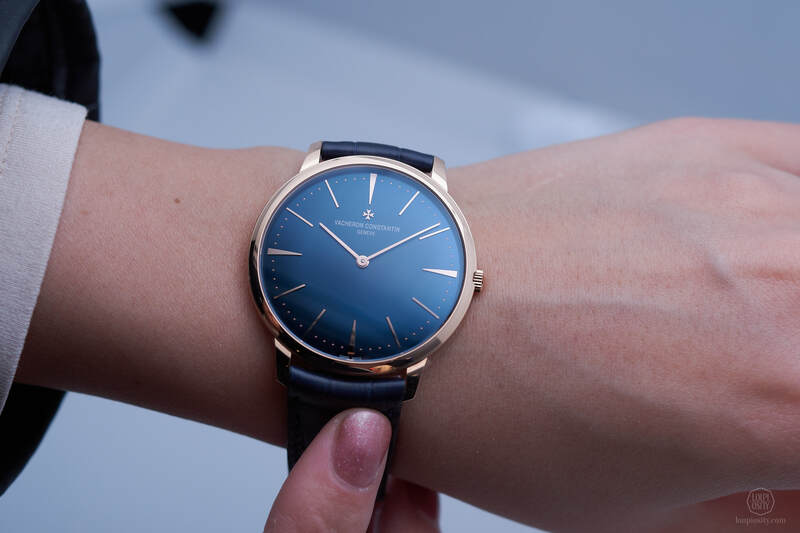 Vacheron Constantin had a number of blue colour novelties in 2019. From the different hues and different lines I picked the most classic and minimalistic ‘majestic blue’ Patrimony in the selection. The dial’s sunburst satin finishing is combined with an 18k 5N pink gold case. The latest Patrimony timepieces range between 40mm (manual and self-winding with date) and 42.5mm for the Retrograde Day-Date model. Although Vacheron Constantin creates 36 or 38mm Patrimony timepieces directly to women, this 40mm manual version is only 6.79mm thick which makes it very comfortable to wear. And how could you possibly resist to such a majestic colour and the elegance it conveys? 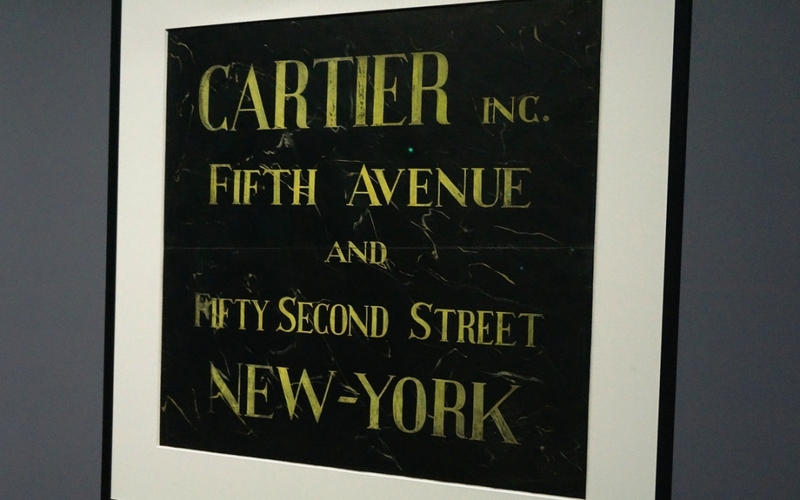 Cartier Fifth Avenue Mansion reopening After 4 years of renovation, the century old Cartier Fifth Avenue Mansion, was reopened 7th September 2016. 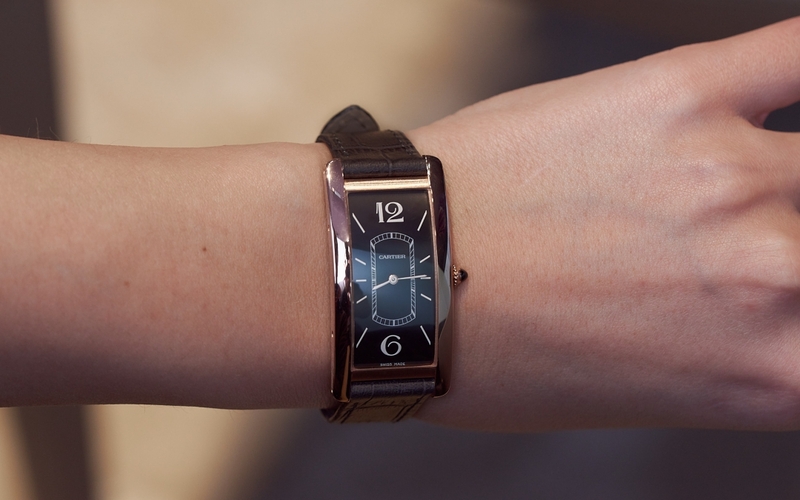 New Cartier Santos and Tank Cintrée With so many icons “in the house”, Cartier always has the opportunity to revamp one or two of the already famous and loved timepieces. Cartier presented new Santos and Tank models at the SIHH 2018. 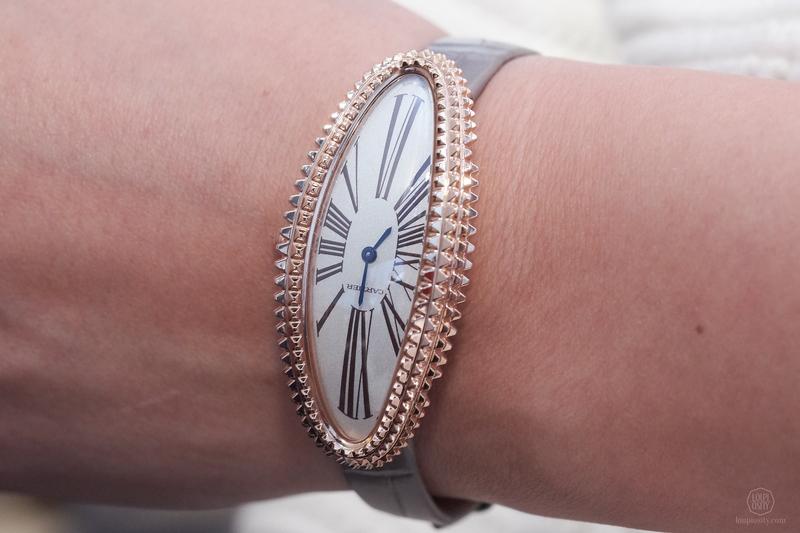 Panthère de Cartier In addition to the exceptional artistic Cartier timepieces, the Panthére De Cartier has made a comeback in 2017.